It is available in paperback or Kindle from Amazon, paperback or Nook from Barnes & Noble, on the iTunes store, and on Harper Collins’ website. Thank you! Life in the Kingdom of Royaume has been happily ever for King William Pickett and his fiancée, Lady Rapunzel. But when Volthraxus, the Great Dragon of the North, returns looking for the love of his life, the Great Wyrm of the South, it becomes clear that some fairy tales never end. After Volthraxus discovers his love was slain by the newly crowned king, he seeks his revenge by kidnapping Rapunzel. Once again, Will teams up with Edward Charming, the only man in all the kingdom with the skill, ego, and dashing good looks to fight a dragon. Our heroes’ fates depend on finding a weapon re-forged in dragon blood—the Pitchfork of Destiny. But as the two set off after the dragon, Charming’s bride, Lady Elizabeth, falls into the clutches of a mysterious sorcerer known as the Dracomancer, who has his own plans for Royaume. 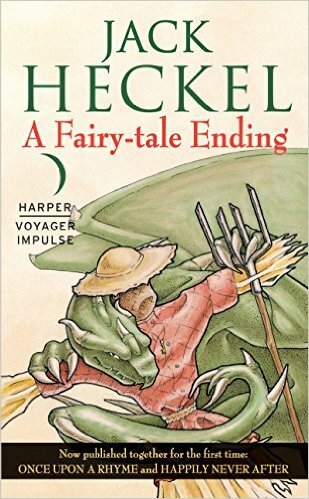 Collected for the first time, A Fairy-tale Ending is comprised of two volumes of Jack Heckel’s Charming Tales: Once Upon a Rhyme and Happily Never After. Prince Charming had one destiny: to slay the dragon and save the princess. Both have been achieved, except there’s a problem: Charming had nothing to do with either. A farmer named Will Pickett succeeded where royalty had failed—and this simply will not stand. Disowned by his father, the King, and abandoned by his only friend, William Pickett, Charming must find a new path in life—but he’s going to need a lot of help. His love, Liz, barely survived an assassination attempt; his former fling, Rapunzel, is in danger; and William is under an evil spell cast by Princess Gwendolyn. 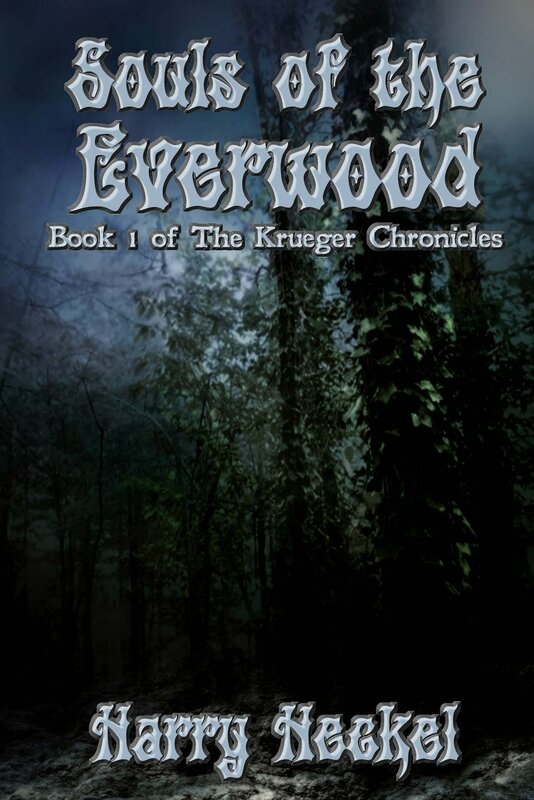 Click the picture above for the Amazon Kindle version or click here for Barnes & Noble’s NOOK version. The iTunes version is here and it’s available on Harper Collins’ website here. Thank you! Once Upon a Rhyme is the first book in The Charming Tales! I’m fortunate to be published as part of the HeroNet Files anthology, along with authors Wayland Smith and Dara Hannon. I wrote the third novella in the book, Hidden Strengths, about a collision course between a young would-be hero trying to earn money in an underground powered fight league and a woman who wants desperately to escape those brutal arenas. All of the stories in this anthology feature pairs of heroes who fight crime and struggle with their own romantic feelings. Several months after leaving Ostburg, Krueger feels compelled to aid a friend of Dr. Nicolai, the sorceress Jasmyne, as she heads to Nordstadt to retrieve a tome containing the secrets of demons. When Bishop Ignatius of Nordstadt decides both Jasmyne and the warrior woman Saren are his enemies, Krueger finds himself in a conflict that threatens to unleash an ancient power better left buried. 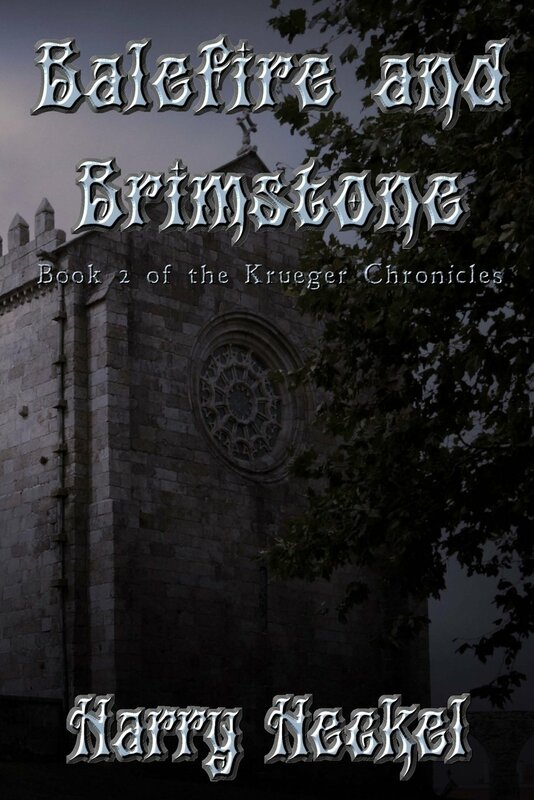 Balefire and Brimstone is the second book in the Krueger Chronicles, following the events of Souls of the Everwood. What happens when Chaos Marines encounter the wrong type of Space Wolves…an investigation with plenty of flashbacks as the Space Wolves investigate the fate of traitors to the Emperor. This story was the first Lee Lightner story and it was originally published in Inferno! magazine. Black Library has kept it in print in the iTunes store. For Fenris, for Russ, for the Emperor! Collecting the novels, Wolfblade by William King, and Sons of Fenris and Wolf’s Honour by Lee Lightner. 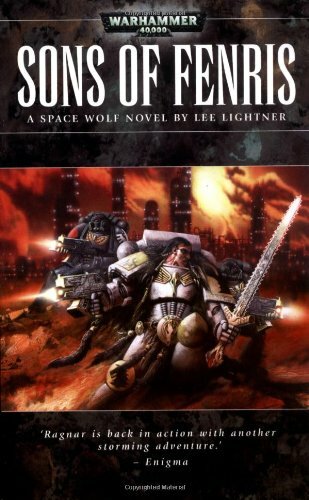 This collection contans the fourth through sixth volume of the Space Wolf series, chronicling Ragnar Blackmane’s adventures as he rises to the rank of Wolf Lord. Ragnar Blackmane of the Wolf Blade is caught in the middle of a war on a planet far from Earth. For the young Space Wolf, battle is what he lives for, but this time he not only faces the forces of Chaos, but he has to deal with another chapter of Space Marines – his own chapter’s greatest rivals – The Dark Angels! This book is the fifth in the Ragnar Blackmane series and is included in the Space Wolf Omnibus, Vol. 2 above. After rejoining the Space Wolves proper following his experience in Sons of Fenris, Ragnar Blackmane has the opportunity to regain the Spear of Russ and reclaim his honour. Doing so, however, puts him face to face with a daemon of Tzeentch. This is the sixth and final book in the Ragnar Blackmane series. It is collected in the Space Wolf Omnibus, Vol. 2.